After rallying from a 34-23 halftime deficit to take the lead in Mobile against South Alabama, the Jaguars' Rodrick Sikes hit a deep straight-on three with 16 seconds left to put USA back in front for good. The Jags won, 55-52. New Orleans began the second half on a 22-3 run to take an eight-point lead, which was answered by a quick 9-0 run by South Alabama to regain the lead. The game then went back and forth until the end. Lamont Berzat, who barely played in the first half, sparked the rally in the second half with 5 assists. 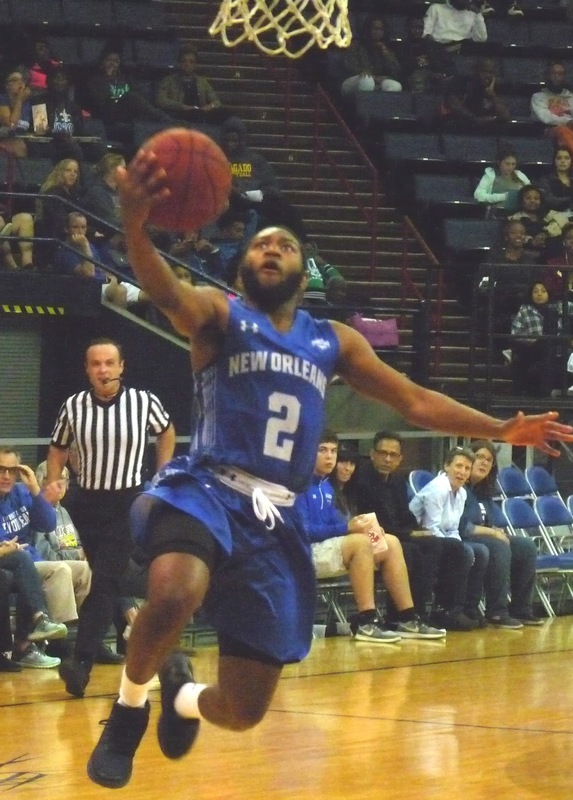 Travin Thibodeaux led UNO in scoring with 14. Troy Green added 11 and Bryson Robinson 10. Michael Zeno led the team with 10 rebounds and tied Berzat's 5 assists. The Privateers (1-4) will get another try at their first road win when they visit Houston on Wednesday night.